Here’s what’s in this month’s box! And a coupon for 15% off Christmas fabric! On the other side of the calendar page is a cute sewing saying. Look at those snow flakes made from scissors. Too cute! 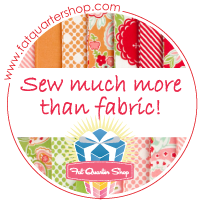 I’m so excited to get quilting with those Charm Packs. And I never have enough white thread so the Aurifil spool is perfect. I love this box and can’t wait for next month’s!